RL and I stopped by the 9:Zero:7 booth at Outdoor Demo — with so many bike companies and attendees coming from the Southern California area, the guys at 9:Zero:7 were pretty stoked to meet someone who actually lived in a snowy winter climate! 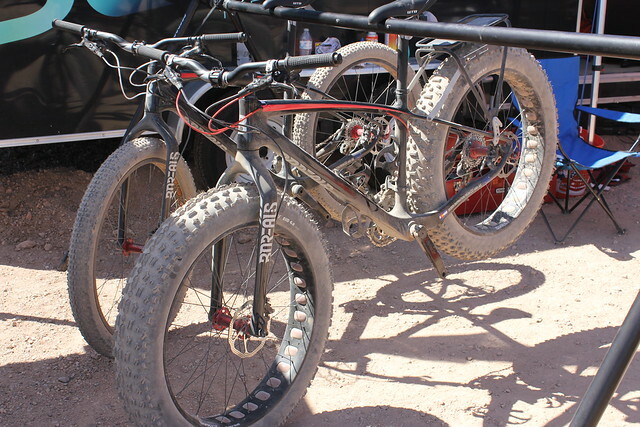 They sweet-talked us into checking out one of their bikes, the aluminum 190 with 190mm rear dropout spacing. 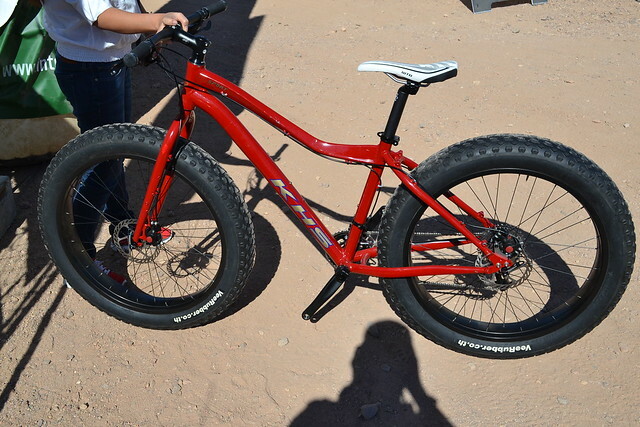 This one will swallow the widest fatbike tires available (up to 4.8″). 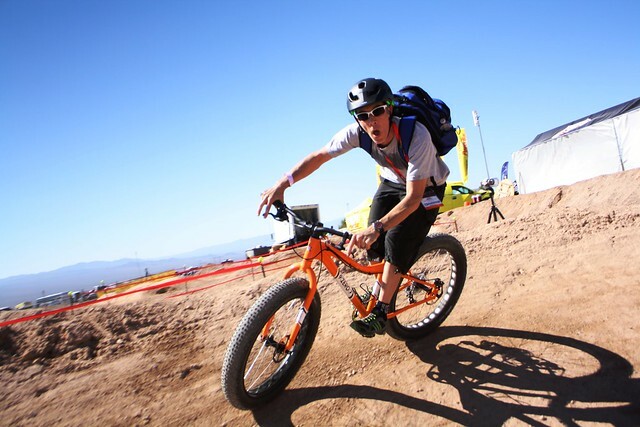 We hustled this orange-and-white beauty over to the Bell Helmets pumptrack and let it RIP. What a blast this thing was…smooth over rough terrain and surprisingly nimble for such a massive machine. One loop around the pumptrack and I was sold! 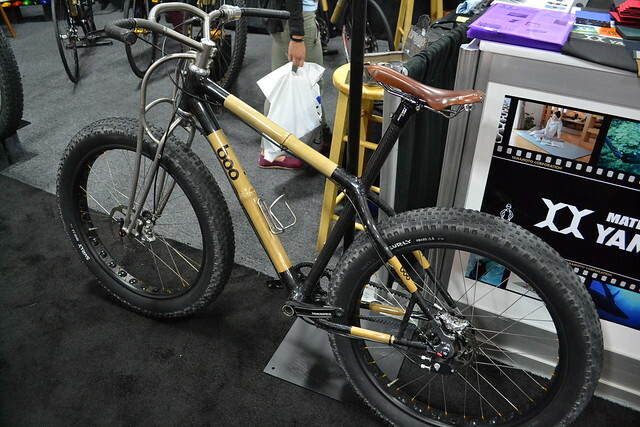 Inside the indoor show at The Mandalay Bay convention center, there were more fatbikes than you could shake a stick at. 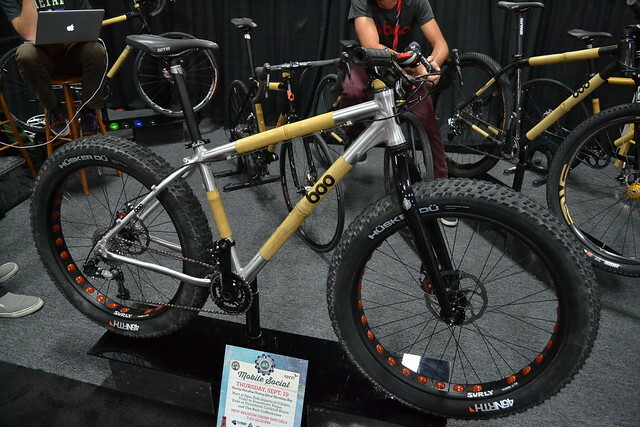 There were quite a few frame and component makers with fatties on display; even Phil Wood had a custom full-suspension downhill model in their booth. Winter warriors, take note: fatbikes are here and they open a door into a snowy wonderland of riding. 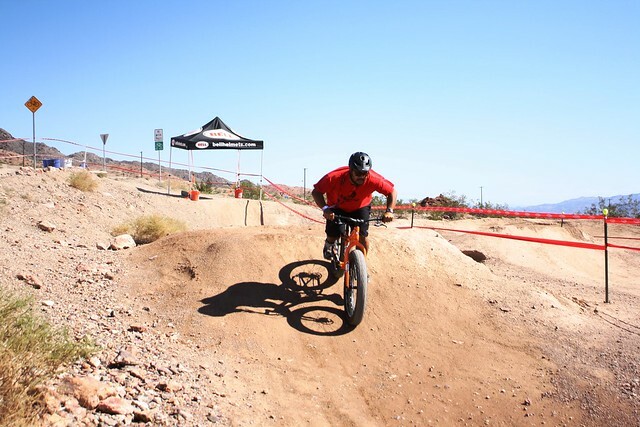 These bikes also happen to be quite fun in summery conditions…sand, gravel, and obstacles are no match for the balloon tires and wide footprint. 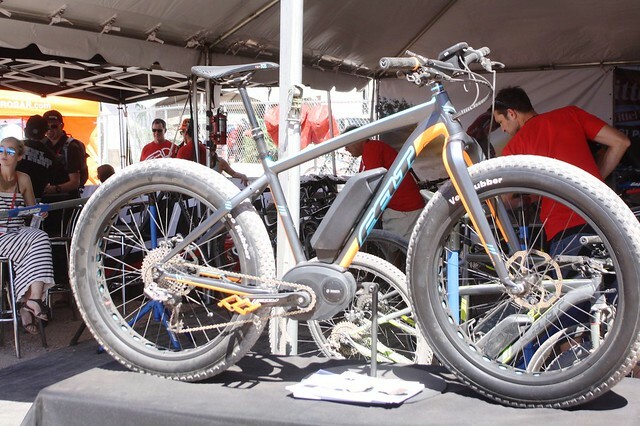 With some smooth tires (or a quick switch to 29″ wheels/tires — most are a direct swap), these might even make formidable all-season commuting rigs!